Breeze is a large-bodied "large" who will suit a wide range of junior and adult riders. She has a lovely personality and has progressed remarkably in our program due to her "try hard" attitude. Breeze is now ready to move into a show career as a winning pony hunter. 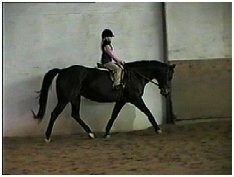 She has a good under saddle trot, big canter step, easy lead changes, and a cute jump. 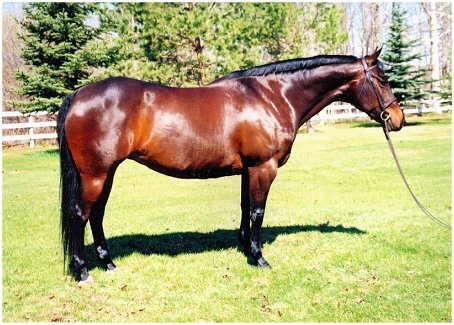 Prior to our owning her, Breeze was a successful broodmare, producing 4 foals. 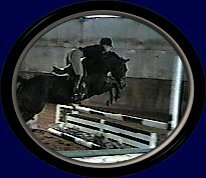 As a young mare, Breeze was owned by a fellow who rode her on trails. Congratulations to Breeze's new owner in Bermuda, 10 year old Sierra! !